We have welcomed Pastor Ron to St. Andrew to be a partner in ministry through this spring. He was ordained in 1974 and has devoted 38 years to parish ministry, serving congregations in Kansas, New York City, and Boulder, Colorado. For his last four years of ministry, he was an Assistant to the Bishop for the Rocky Mountain Synod. Pastor Ron retired in 2016, but during 'retirement' he has continued to serve congregations in part-time ministry. He grew up in suburban Chicago and graduated from Valparaiso University in Indiana. He is a graduate of Concordia Seminary in Exile, St. Louis. Pastor Ron's passions in ministry include adult education, worship and music, campus ministry support, and global mission - including four trips to Madagascar, our Companion Synod. He has two adult children and a grandson, and stays involved in choral music and musical composition. Mandy joined the staff at St. Andrew in 2013 as the organist/pianist. With a doctorate (DMA) in Piano Performance and Teaching, she shares a depth of talent and creativity in her musical gifts. 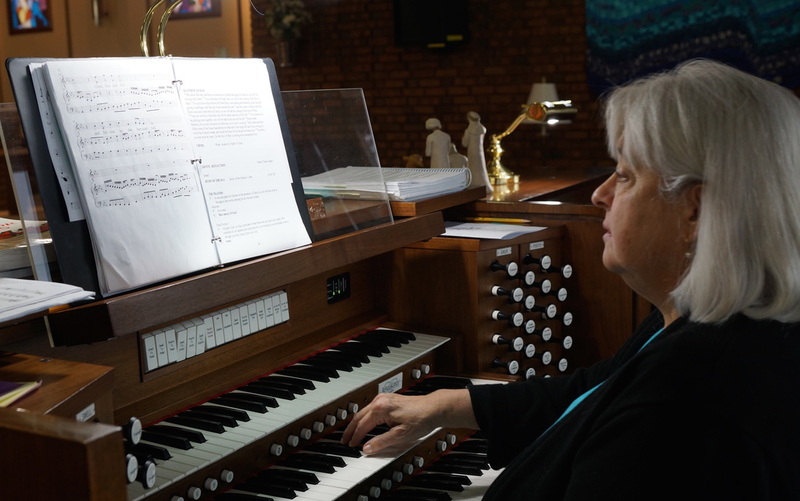 She has studied Liturgical Organ since 1993 with Gwen Blumenschein. In addition to sharing her talent with St. Andrew, Mandy is a free lance accompanist throughout Colorado, working with several vocal ensembles including the Vocal Performance Department at Gateway High School and teaching at Rockley Educational Center. BS degree in Health and Human Services. She worked for several years in Fort Collins in the Aquatics Division and in Older Adult Recreation and Services. For 18 years, she was the Director of Senior Services and Recreation for the City of Lafayette. She has also taught adult fitness classes while raising twin daughters with her husband. Together they like to ski, swim, and bike. They are also active members in our sister congregation, Advent Lutheran, in Westminster. Her nickname, Sammie, comes from her Dad. And she is in good company with her sisters, who are nicknamed Turtle and Bunk.